This department store chain may be the oldest in the world, dating back to its founding in 1673 as “Echigoya”. The Ginza store was opened in 1930 and was the place where McDonald’s opened their first store in Japan in 1971(later closed). The 11th and 12th floors are full of restaurants while the B2 and B3 floors offer a wide arrangement of food in their “food garden”. These underground “food gardens” are found in many department stores around Japan and are commonly referred to as “depachika(デパ地下)”. 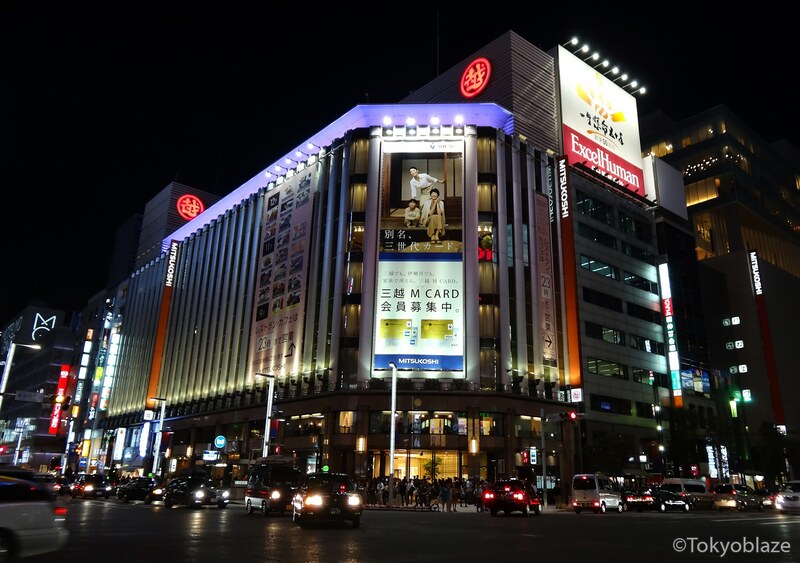 The flagship store for Mitsukoshi is located in Nihonbashi. The shop is open daily from 10:30 A.M. to 8:00 P.M.. Restaurants on the 9th, 11th, and 12th floors are open from 11:00 A.M. to 11:00 P.M..